It is with much sadness and heavy heart that we announce the death of our ever-popular Chief Marshal – Steve Sanders. Steve finally lost his brave battle against throat cancer at 8pm Friday 15th Sept in Exeter hospital. Competing at this years Chivenor Sprint. Steve's love of motor sport and North Devon Motor Club could be seen with the enthusiasm in which he put his heart and soul into every aspect of the sport from competitor, marshal, official and organiser. He started his involvement with the club before he held a driving licence and would ride miles on his bicycle to take up his position as marshal or to help wherever it was needed. If ever there was a task to be done in the club and Steve was there you knew it 'would' get done. He was very active on the club's committee having held various positions over the years and recently held the position of the club's Chief Marshal. He would not allow his illness to get in his way. Flying Finish at Resolven on the Wales Rally GB. Steve has been a very brave and courageous person, over the recent months he would not 'let on' that he was suffering. He always had a smile and a joke to tell, even after he lost his voice he managed to converse with his fellow members and friends - the humour was still there. Steve's Mini on display at the recent NDMC Motor Sport Show. Steve will be missed greatly by all those who knew him, the club meetings/events will not be the same. Our thoughts and condolences are with his family at this very difficult time. If anyone would like to add their own tribute or memories of Steve please e-mail the webmaster@ndmc.org.uk or by post to 3 Willow Tree Road, Rumsam, Barnstaple, EX32 9ET. These will be added on a daily basis. I met Steve while he was working for Bob Tucker. We became good friends and Steve became my spanner man/mechanic in 1998 for my campaign to win the Formula Blue Karting Championship at Dunkeswell as well as doing the Nationals that year. We won the championship and finished 8th in the Nationals that year. Steve never let me down which was one of his many great characteristics and we were a great team together (I had to be careful what I fed him though as it could get a little windy and we lived in a confined space while on the road...if you get my jist!!). We lost touch for a few years after he married but in the last year during his illness we met up quite a lot. His courage and fortitude throughtout the illness was testimony to the big hearted and brave man Steve was. I will miss him greatly as will many I'm certain. Jonathan Munns, 20th Sept 2006. I took this picture of Steve with his Mini at the NDMC Motorsports Show. Regretfully Steve didn't get to see it. Feel free to use it so that others do. Steve Parker, 20th Sept 2006. As my role as Assistant Paddock Marshal on the Chivenor Sprint this year (2006), I got to see many competitors on my rounds up and down the pit. One thing that stuck out every time I got to the far end where Steve was parked was his sheer enthusiasm. More than any other competitor Steve was literally waiting with anticipation for me to get there as he knew it was then his turn for another go round the track. You could see the delight on his face as he drove back into the paddock from his run, and although he couldn't speak in great length, he didn't need to, his happiness was literally glowing from him. I knew Steve in many ways through marshalling, competing and not least his role on the North Devon Motor Club Committee. I remember from our meetings before the Chivenor Sprint, Steve was prepared to help in so many ways that if needed he was going to marshal, organise and compete all on the same event!! This showed just how determined a man Steve was to me, and his willingness to help was clearly evident. Steve Sanders, a great loss to Motorsport, North Devon Motor Club, and not least his friends and family. Scott Cleverdon, 21st Sept 2006. On return from my holiday, I am very saddened to hear of Steve's death, and offer sincere condolencences to you all. Steve will be greatly missed, he has been a valued supporter of WRGB since at least 1994, when I first became involved, and will always be remembered as a 'stalwart'. His memory will live on at WRGB. I came to the site to look for news on the Exmoor Trial and find this obituary to Steve Sanders. I can't say how shocked and saddened I am by it. I've been out of the county for several years now and didn't know of Steves illness but I can still remember his enthusiasm and kindness. Steve was the best Step Dad in the world, he was always there for us and would never let anyone down. He loved his motorsport and once told me I would go with him to a race when it was possible for him to take me. Regretfully that day will never come now. I hope that everyone who knew him will remember him for the fun loving person he was. He meant so much to us all and he still means a lot to me. 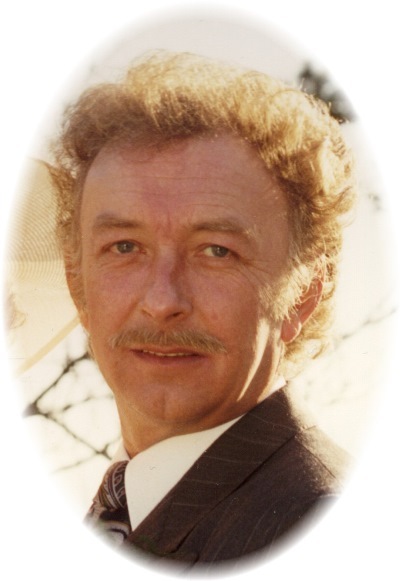 It is with sadness that we inform you that Adrian Ackland passed away last Friday morning after a long illness. He was 82. Adrian was an active member of the NDMC during the 1950's and early 60's when the club had a strong motorcycle membership. He still maintained a great interest in motorsport and attended the penultimate round of the Remedies Bar Motocross series in Mid September and the Motocross Des Nations at Materley Basin the following week, even though he was wheelchair bound. 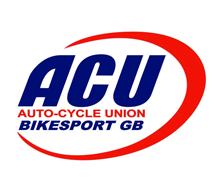 Adrian was a Vice President of the Auto-Cycle Union, being re-elected on November 4th this year, and a Vice President of our South Western ACU Centre as well as Motocross Team Manager. In the past Adrian has held posts as the Centre Chairman and President and also represented the Centre as a National Management Council Delegate. Adrian is also known to many of us as the President of the Barnstaple and District Mens Skittles League. Should anyone wish to make a donation in memory of Adrian this can be made by cheque which should be made payable to the South Western Centre ACU Benevolent Fund and sent to Mr D Ackland, Abscott, Shirwell, Barnstaple, EX31 4LE. This.will be shared between St. Peters Church and the ACU Benevolent Fund. The North Devon Motor Club extend their condolences to Adrian's family. Sadly Tricia Greenslade passed away on 19th November 2005, after a courageous battle against illness. Our thoughts and sympathies go out to husband Dennis and all the family. Dennis and Tricia have been stalwart members of our club for many years, and almost every year attend our dinner dance evenings, usually bringing several friends with them, and entered numerous Exmoor Trials and other events, but few, if any of us, knew the extent of Tricia's achievements. She acted as navigator for Dennis in many classic trials, winning the national championship four times, more than anyone else. Together they achieved the record for the 'tip to toe' John o'Groats to Reggio de Calabria in Italy. In March 1986 Tricia became the first - and only - lady to complete a solo non-stop drive from Lands End to John o'Groats and back. In 1988 they raised £24,000 in just 24 hours for Children in Need, and in just two events amassed almost £100,000 for Macmillan Cancer Relief with their popular Cape to Cape classic tours. In July this year Tricia determinedly overcame her pain and tiredness to attend a Buckingham Palace Garden Party with Dennis where they both recieved Macmillan Gold Bows, the highest awards for volunteers who have helped the charity. Tricia always had a ready smile, and always had time for people. Her departure from this life will leave a huge unfillable void, for Dennis and the family, for motorsport, and for charitable organisations everywhere. Hundreds flock to see the wide range of vehicles on display in Barnstaple's Pannier Market. Young Jack Williams tries Max Liverton's single seater sprint car out for size. President Fred Partridge chats with the staff from the Devon Air Ambulance appeal which is the subject of the 2006 President's Appeal. Sheila Partridge looks on. ......finishing in glorious sunshine at North Molton's Sports Club. ......final refreshments and a chat about the days Tour. Click here to read the latest about the President's Appeal. Hundreds of people came to visit us and see the wide range of vehicles on display in Barnstaple's Pannier Market. Some very rare cars were on display for all see. Even the young generation could have a go at the slot car version of Chivenor Sprint. The fastest lap was set by young Tom Elliott at 6.30 secs. This is Lantern FM 's 'Spirit of the Show Car', a Dutton Melos which has been modified and used for Classic Trials. The winner of the 'Guess the number of balls in the Mini' was Amanda Lovell from Torrington whose guess was only 9 out from over 1,000. 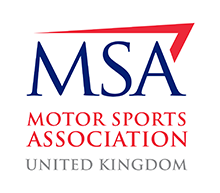 Our Chairman, Mike Reed, and the committee of the NDMC would like to thank all vehicle exhibitors and trade stand personnel for all their input to the show. Ken was an ex-President of NDMC and a Vice President. Ken first joined NDMC way back in 1948 after a 2 year stint in the RAF. His passion was his motorcycles and rallying, In those days the rally car was the everyday car and tales of sticking polythene down the sides of his Mk3 Zodiac to avoid scratching it on a rally were regularly recounted. Ken later moved on to a Cortina GT, where he was assisted by Bert Tucker in the hot seat, they broke down on one rally and were a short distance from Bert’s house, a swap to Bert’s Saab enabled them to finish the rally, the results showing the car as Cortina Saab, don’t think the MSA would let that one go in the present day. After a brief unsuccessful stint in a Mini Cooper, Ken bought another Mk1 Cortina in the shape of an ex Alan Mann Racing GT complete with works registration COO742B. This car with Stuart alongside was Ken’s most successful period and they won the NDMC Championship and were regularly the top NDMC finishers on the Ilfracombe Rally, not only with the Cortina. but also with the 3 litre Capri’s which were campaigned in the mid 1970’s. Ken’s driving skills didn’t go unnoticed, in the late 60’s he was part of a team of drivers and navigators who took part in the Trial 6000, where they drove a Brabham Vauxhall Viva Estate around Devon, non-stop for 6000 miles, an offer of a works supported drive from Vauxhall followed, but was turned down due to the family business commitments. Ken was also active in many other disciplines, autotest, autocross and trials, Ken is probably one of only a few to use a 3 litre Capri on a Classic Trial, the trenches dug at the bottom of Putshole Woods are probably still there today! Ken was very active in the early years helping out on Sprint events on Winkleigh Airfield and Chivenor in the mid 70’s and was a key member of the team of NDMC members, who had the foresight to purchase Sugworthy. 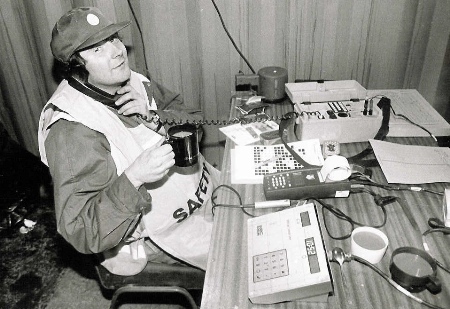 He was also a respected Stage Commander and was regularly called upon for the Somerset Stages & South West Stages, he was Clerk of the Course at the NDMC Autocrosses for many years in the 70’s and he could always be found in the early hours of the morning on Beggars Roost, helping out on the Lands End Trial. In recent years Ken’s health restricted him from many of the things he loved, but he continued to hold the August Club night in the field at Goodleigh and was at this year’s Autocross, where he presented the club with an NDMC flag. If anyone would like to add their own tribute or memories of Ken please e-mail the webmaster@ndmc.org.uk or by post to 3 Willow Tree Road, Rumsam, Barnstaple, EX32 9ET. These will be added on a daily basis. Some photographs supplied by Steve Parker, typical memories of Ken! Barry was born in Barnstaple on December 16th - and lived locally all his life. His parents Alfred and Mary owned a book makers shop where they also lived in Bedford Row, Alf was always recognised as a very smartly dressed gentleman. Barry attended the Parish Church School and Derby secondary, and he was also friends with a local girl; Jean. As with most teenagers in those times started work at 15. This was in the body-shop of Taw Garages as a panel beater where he made many friends and started his lifelong connection with vehicles and the motor trade. In about 1962 he purchased a plot of land in Gaydon Street, and built his own garage. This was to become the start of his 40 years dealing with the general public. He asked Jock Carss to join him; who mainly dealt with the mechanical side of the business with further help from Dave Sexton. Barry spent his time with the car sales, often selling up to 20 cars a week. Along with most of Barnstaple's car dealers they regularly travelled north to buy and sell at Tewkesbury Auctions. A friendly rivalry ensued. By then he had two children, Christian and Anneliese. He always liked to Holiday in Scilly, perhaps he might have had some connection with the Mafia. At this time he started his long 25 year build of a Jaguar 2 seater special, which project Christian is determined to finish. In 1965 Barry joined the local motor club ( along with Jock ) and they built several cars to compete in autocross and sand-a-cross. A Jaguar ( of course ) a chopped Mini and a rear engine super charged Dellow. They had many years racing at Weston-Super-Mare, Sugworthy and Westward Ho! He held a HGV and Pilots licence. But apparently another love of his was speedway racing - mainly at Exeter speedway. The garage was then rented to various people for several years; with or without Barry running car sales next door. He then retired and sold the whole site; finally severing his long association as a Barnstaple dealer. He had since re-met Jean, and it wasn't long before they married in 1991. Both of them then set about renovating a 32 foot classic yacht / what next? Jean made the new interior while Barry attacked the hull. This took 10 years / parked up in the drive in Braunton. Barry enjoyed a quiet life, was easy going and shrugged off problems and drama ( the secret to a contented life? ) and didn't bother much with social occasions. He popped down the pub and chatted with carefully chosen friends while enjoying a cigarette. He liked watching the TV Formula 1, Antiques Road Show, and old favourites like Dads Army. In his final year he found his strength was lacking. Although he had a long history of childhood asthma and pneumonia it had been kept under control. He was admitted to hospital in late March 2013 complaining of breathing difficulties; but stomach cancer was diagnosed on 3rd April and he died the same day. He leaves behind his wife, brother Alec, and sister Valerie, Children and many Grand & Step-Children. The end of an era. Copyright © 2019 North Devon Motor Club. Website Design North Devon.